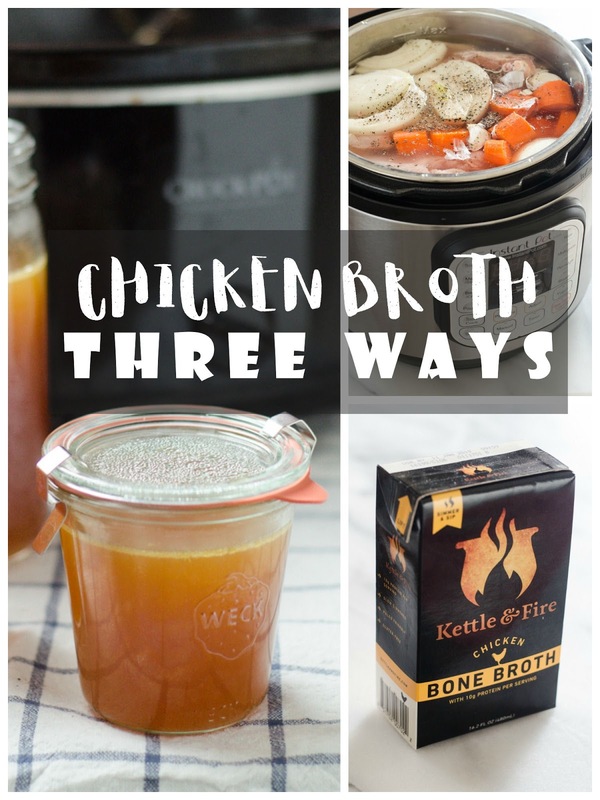 Learn how to get chicken broth 3 ways: Slow, Fast, or Instant! Kettle & Fire sent me their chicken broth to try out for you guys. All opinions are my own, of course! If you click on an affiliate link, I will earn a small commission. Thank you for supporting Buttered Side Up! 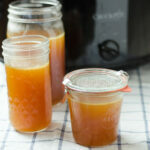 One of my favorite things to make (and eat) in my kitchen is chicken broth. It just makes me feel good knowing I’m getting all the wonderful benefits of bone broth! 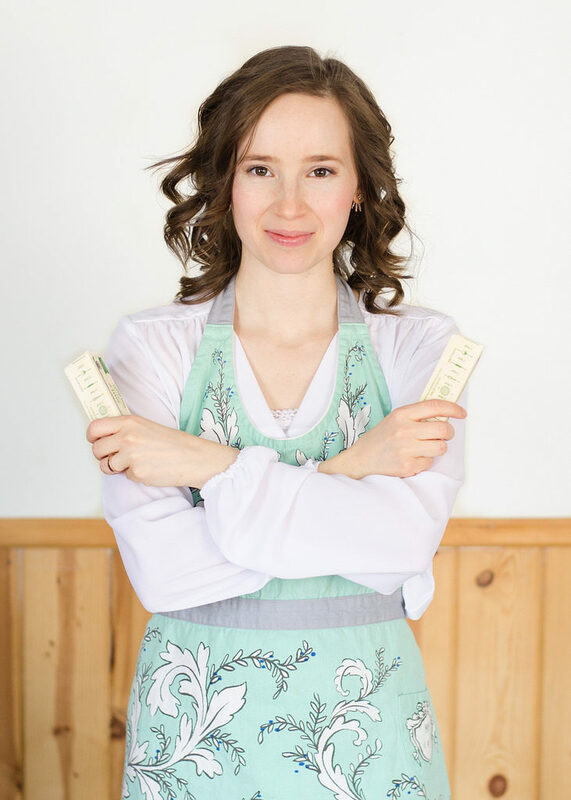 Today I’ll be showing you how to make chicken bone broth 2 ways, plus where to buy it! 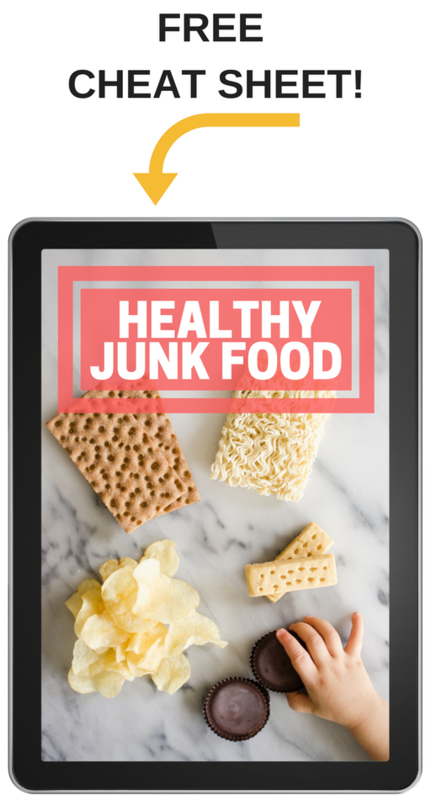 This method is for you if you’ve got plenty of time on your hands and you want to throw everything into a crockpot and forget about it. Great for if you need chicken broth but you need to leave the house for a bit. You can read my full tutorial HERE. This method is for you if you’ve got a few hours before you need to use your bone broth. Place your chicken bones in the bowl of the Instant Pot (I own the 6-quart Instant Pot ), add some veggies (I like onion, garlic, carrots, and celery), and a bit of salt and pepper (don’t go overboard!). 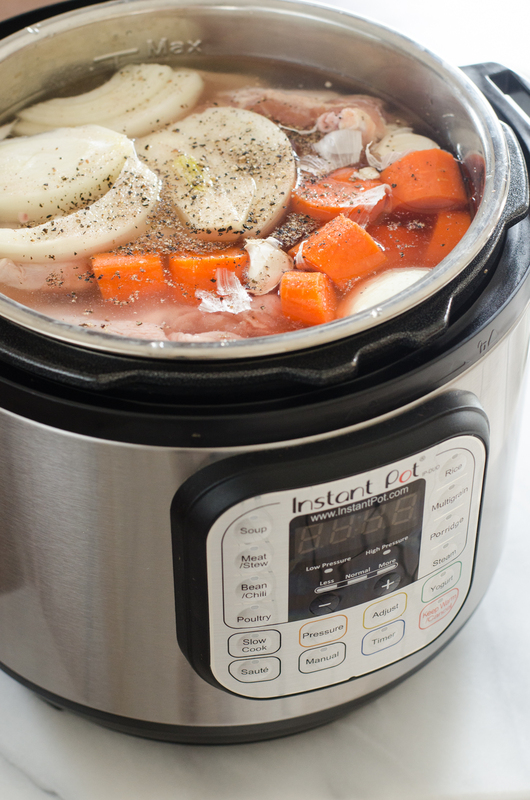 Add enough water to cover the chicken bones, but don’t fill past the “Max” line on the Instant Pot. Put the lid on the Instant Pot to the closed position, turn the valve to “sealing”, and place on the “Soup” setting for 120 minutes. Allow to vent naturally. Voila! After 2-4 hours (depending on how full your Instant Pot was) you’ve got beautiful, flavorful bone broth! If you have absolutely zero time and need bone broth RIGHT NOW, you can always buy it. It’s pretty handy to have it on your shelf for emergencies. A couple of weeks ago I came down with a really nasty sickness. I didn’t have the time or strength to make myself some chicken broth (and I totally forgot about the chicken broth in my freezer). So I cracked open a carton of Kettle and Fire bone broth, heated it over the stove, added some extra real salt (I like my bone broth EXTRA salty for sipping), and poured it into a mug. Hmmm…comfort in a cup. One of the ingredients listed is “Organic spices” – I was pretty sure there wasn’t anything untoward there, but I like to know EXACTLY what’s in a product before I recommend it to you guys. Turns out the organic spices are just organic pepper, bay leaves, thyme, parsley, and salt. Also, “Chicken Broth” is listed as an ingredient. Turns out the chicken broth is made from chicken feet, which are rich in collagen. I was pretty stoked to find out that Kettle & Fire is made with chicken feet! 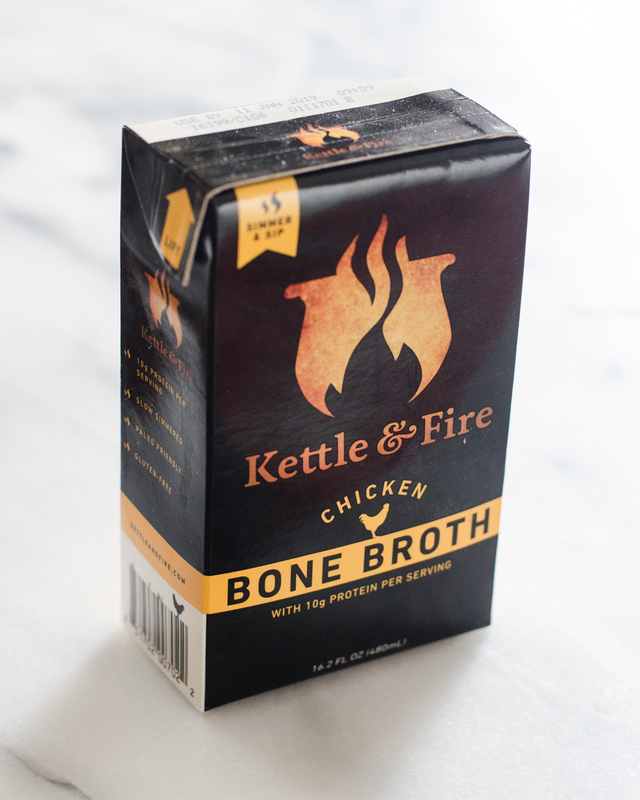 If you’d like to get your hands on some Kettle & Fire chicken broth, make sure to use my coupon code BUTTERED20 to get 20% off your first order. But hurry – this offer ends April 30. 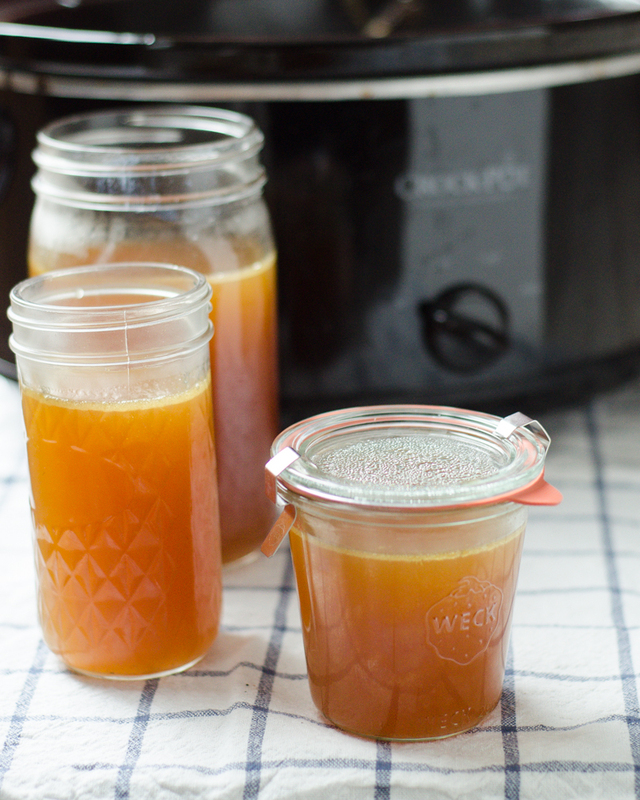 A care-free way to make chicken bone broth at home. 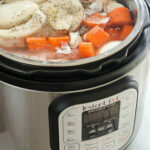 Place the chicken carcass in your slow cooker and add just enough cold water to cover. Add the onions, carrots, celery and vinegar and stir. Let sit for 30 minutes. Allow the broth to cool until warm. Strain into storage containers. 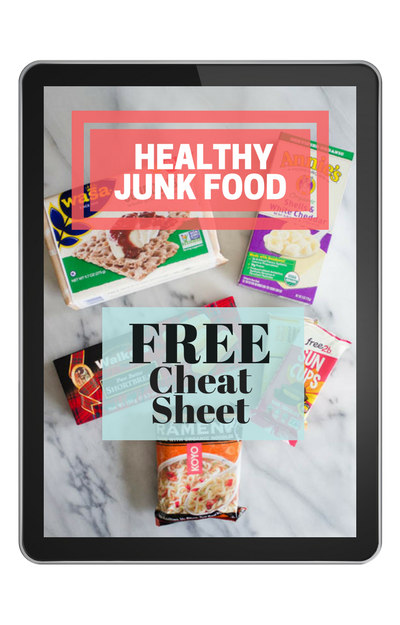 Refrigerate for up to a week or freeze. 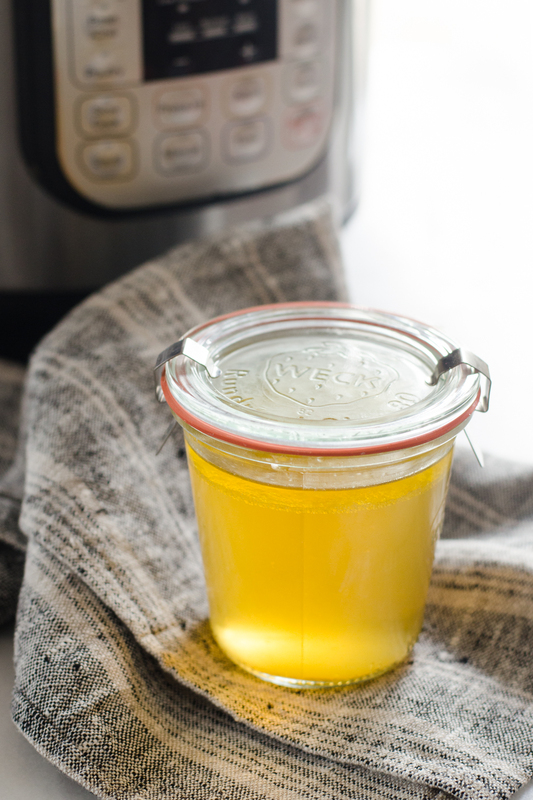 Make chicken bone broth at home in a few hours with this Instant Pot recipe! Place your chicken bones in the bowl of the Instant Pot, add some veggies (I like onion, garlic, carrots, and celery), and a bit of salt and pepper (don’t go overboard!). Put the lid on the Instant Pot to the closed position, turn the valve to “sealing”, and place on the “Soup” setting for 120 minutes. Once done cooking, allow to vent naturally. Remove lid and allow the broth to cool until warm. Strain into storage containers. Refrigerate for up to a week or freeze. Thank you for sharing this. I've always wanted to make my own bone broth but I'm just too busy. I'm drinking Au Bon Broth now and I'm liking it so far. It's delicious and organic too. It's been helping me with my sleeping problems.